I love Saturdays… In the basement of our house we were getting ready for another band rehearsal in the afternoon, and there was no place I would rather be. However, there were a few other things that captured my attention. I didn’t have many, but they were some shows on TV I liked to watch. Programs like Underdog, The Flintstones, Spiderman, Journey to the Center of the Earth, and then American Bandstand. Why not? After all, I was only six. My brother and I would have canned spaghetti for lunch. After that he’d indulge in a piece of chocolate cake and a slice of processed cheese, which made me wince with disgust. While helping setup for practice, I would pay close attention to what needed to be done, and learn as much as possible. It sounded good to pound away at the drums. I would imagine I was Gene Krupa and continued to hammer away… How terrible I must have sounded. But it sure felt great… I then went to the bass guitar, picked it up, took a seat and plugged into the amp. Cranking the volume I plucked away at a few of the strings and decided to stop when a bit of plaster came off the ceiling and landed onto the floor… Hmm… maybe I should clean that up. I grabbed my harmonica that I received as a gift… Hovering over our Admiral console player I found a 45 already on the turntable. It was a Checker Records single called “Key to the Highway” by Little Walter. Placing the stylus in its groove, I positioned the harmonica close to the mike and played along… Who was this Little Walter I thought? He was amazing. I would amuse myself by playing along; getting lost in my imagination. He was unlike any harp player I heard before. Little Walter breathed life into an instrument that I only knew as a toy. I often thought to myself how cool it would be to actually play music, but those were only fleeting moments. Truthfully I wasn’t interested in being a musician. I wanted to do something different. 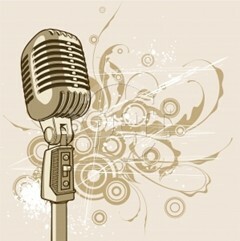 I wasn’t sure what it was I wanted to do, but I knew it had to involve music. I finished up my little session and by the time I tidied up, the boys came barreling down the stairs eager to rehearse. I briefly asked the guys about Little Walter and they told me a little bit about him. They mentioned he died in a street fight in Chicago. What a terrible outcome for such a talented musician. He was only 37. My brother and his friends were working on a few of his tunes. One of those songs was Key to the Highway, which Walter did a version of. The other song was called Off The Wall. It was the first song on their list to go through. The rehearsal went on for almost 2 hours, and I listened with enthusiastic interest. known as Little Walter was born May 1, 1930 in Marksville, Louisiana. He taught himself harmonica at the age of 8. After quitting school at 12, Jacobs left Louisiana and traveled wherever his mood took him. He would work at all types of jobs and busk on the streets of New Orleans, Memphis and St. Louis. Little Walter would later honed his skills with great blues man like Sonny Boy Williamson and Big Bill Broonzy, who originally wrote Key to the Highway. In 1948 Little Walter hooked up with Muddy Waters, and while playing in the Chicago clubs, helped define electric blues. Walter played the amplified harmonica by holding a small microphone in his cupped hands, and achieved a saxophone like sound that expressed his highly creative improvisations. Walter’s ground-breaking playing and distinguishing sound contributed deeply to Muddy’s recordings of the early 1950’s. The tunes my brother’s band was rehearsing at that time were more from Little Walter’s solo career which began in 1952. Walter formed a group called The Jukes with David and Louis Myers on guitars and Fred Below on drums. This trio were known as The Aces and had been working previously with Junior Wells. Sometime during rehearsal my sister came home. Storming down the stairs right in the middle of one of the tunes she sneered directly at the bass player. She then yanked the cord from his amp and the outlet almost came off the wall. They continued without missing a beat even though the whole bottom end disappeared. As my sister briskly went back upstairs you could now hear in the distance The Monkees “Last Train to Clarksville” blend into the missing bottom end. This always signified the end of practice for the day. From 1952 to 1968 Little Walter recorded about 100 titles of which about half were issued on record as of the early 1970’s. Previously unreleased material has made its way to CD’s, and is a great tribute. For a brief time frame in 1964 Little Walter did a tour of England with The Rolling Stones. The years during and after these times were not glorious and would eventually end in his tragic death. Little Walter inspired artists like Clapton to Butterfield and many other great musicians of our time. I feel very fortunate to have such rich memories and Little Walter is one of those special musicians that helped influence my love for the blues. 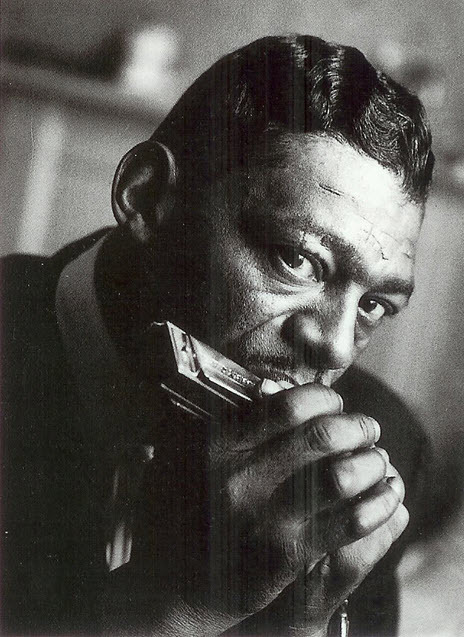 It’s been over 40 years since we lost Little Walter. Do you have a memory or favorite Little Walter song? Can you recall a harp player that amplified his sound prior? Feel free to add your comments. Great post as always, I don’t really have a cool story about Little Walter. But as a harmonica player, I can tell you that the first time I heard his version of “Juke” my mind was totally blown. I have been trying for about twenty five years or so to emulate that sound, not there yet, but then again I don’t think I ever will make it. And as you know we both did post about him on the same day, which means that great minds think a like. Stay cool, take care, and keep on blogging! I’m 57 years old today. I guess you did not know we are brothers!! I swear your blog is like an art history lesson. I’ve never heard of Little Walter, but love harp music. Have never heard anything like him before — but his influence is easy to spot in all of our music. Thanks for this lesson, BB. Wow! to go back that far in the years..that,s like the father of the harmonica…i played the blues with an hamonica for a while,nothing fancy but had lots of fun..never heard of Little Walter..in my time it was John Mayall and others…Great article you got here..very interesting/informative.Now i know he has influence a whole bunch of musicians…thank you for this great intro and those videos are a big plus..thanks. Marion Walter Jacobs was a force of nature, one of the most creative and powerful musicians to ever play the harp. In his hands the harmonica was redefined as an incredibly versatile voice that changed the way the instrument was perceived and even the music itself!! Little Walter Lives!!! Little Walter is “the Man” for us in Stormcellar. As always another great blog. I grew up listening to his music and still love it today. Thanks for the memories and new info!! !